Tag Archive | "previous year"
A recent study shows that only one out of four high school students drink soda every day. The study suggests that this ratio shows fewer teenagers are drinking that much sugary drink anymore. Also, the researchers discovered that many high school students actually drink milk, water, and fruit juices very often. Nance Bener, the study’s lead author, said that they were extremely pleased with what they discovered. Bener is also a part of the Centers for Disease Control and Prevention. Brener, however, said that they still acknowledge the fact that a quarter of American teenagers are still drinking sweetened drinks every day. The consumption of soda is considered as one of our biggest public health problems and has been directly linked to the increase in childhood obesity rate in the United States. A study including schoolchildren in Massachusetts show that for every additional soda one takes per day, the chances of becoming obese increases by 60%. 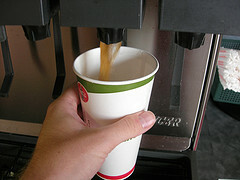 To help ease the problem, many schools voluntarily stopped selling sweetened drinks in school cafeterias. Director of the Rudd Center for Food Policy and Obesity of Yale University, Kelly Brownell, said that it really looks like the rate of high school students drinking sweetened drinks on a regular basis is going down. In 2010, the rate dropped from 29% from the previous year to 24%. Brownell, however, said that the results of the current study are still a bit depressing. He pointed out that even though the rates have gone down; a quarter of all high school students is still a huge number. Asian currencies have advanced, breaking a two-day decline in the market. Speculations tell that investors will purchase the region’s assets to profit on the world’s fastest growth. Three Asian currencies, which include Chinese yuan, Malaysian ringgit, and the Singapore dollar, have led gains while Vice Premier Wang Qishan informed today that China has taken action to assist the European Union with its debt crisis. The developing economies in Asia are expected to grow 8.4 percent in 2011 in comparison to the 2.2 percent growth for advanced economies according to the forecasts made by the International Monetary fund in October. Apart from that, reports showed yesterday tell that Thailand’s overseas shipments have increased in November. The JPMorgan Asian-Dollar Index has added 0.2 percent in Hong Kong while Singapore dollar gained 0.3 percent to S$1.3153. 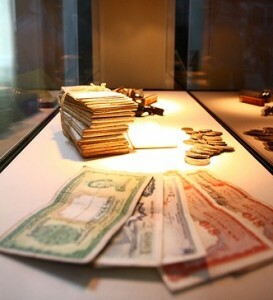 Chinese yuan grew 0.21 percent to 6.6603 per dollar and Malaysian ringgit increased 0.3 percent to 3.31370. For two weeks, the yuan raised the most and that boosted investor’s confidence while situations in the Korean peninsula are less tensed. Bill Richardson, the New Mexico Governor informed that North Korea consented to allow inspectors visit their uranium enrichment facilities. Taiwan’s dollar neared a 13-year high after information showed export orders increased by 14.3 percent last month from the previous year. Ringgit, on the other hand, rose from its lowest record in more than two weeks in the hope that a $444 billion government plan will enhance the growth. So far this year, the currency has gotten stronger with 9.1 percent, and it is expected to be the best annul rally since 1973.